Breakfast toast makes me happy! Here are some new healthy toast ideas to add to your nutrition arsenal. From sweet to savory, I’ve got your taste buds covered. Plus by incorporating fruit and other superfoods instead of sugary-jams and processed cheeses in my toast ideas, these are recipes your body will thank you for too! 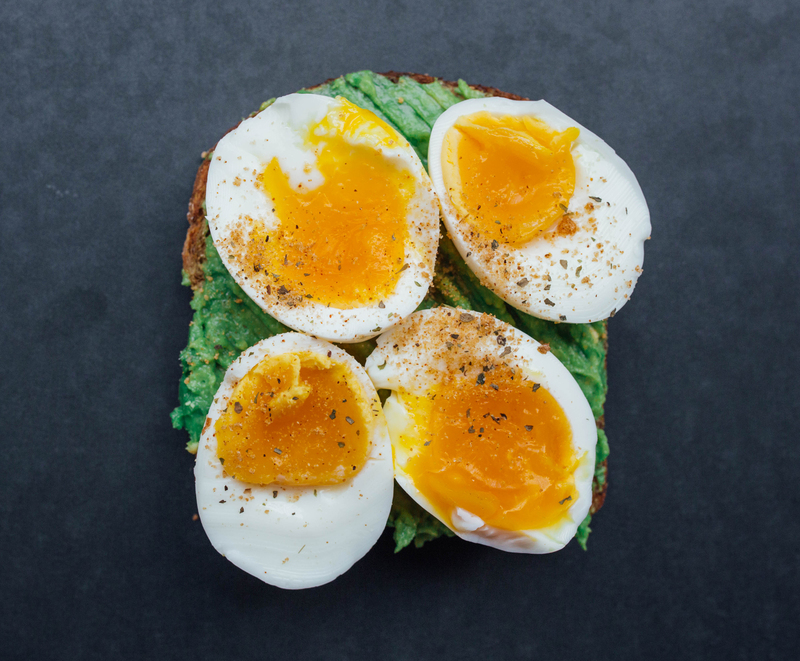 Because who doesn’t love the classic avocado and egg combination? This breakfast toast may be a classic but it’s never going out of all style. I sprinkled some Garlic Lover’s Flavor God on it to make the taste pop. Get all the gooey info below. This combo is perfect for anyway with a sweet tooth! Banana, almond butter toast is one of my favorites and the chia seeds add another delicious element. Plus, chia seeds are loaded with fiber, protein, omega-3 fatty acids and other nutrients. Try this healthy version of the classic peanut butter & jelly sandwich for a midday pick-me-up. Who needs sugar-packed jam when you can add fresh fruit instead? Most jams also have added-sugar so you can avoid the unnecessary sugar bomb when you go with berries instead! Beans on toast? Yes, it’s delicious, especially with a fresh fried egg on top. I also love that I’m getting an extra boost of protein from adding eggs and beans on my toast too. Need more ideas? Check out this awesome American Flag toast recipe. So yummy! I am going to try all these combinations. Thanks for sharing!